Something to consider is: what are the trends that are inhabiting the digital marketing industry? The fixed, first thing that you as a content marketer should be continuously aligned with is with is going on within and around your industry. What are the trends, and what is happening within the industry? What are the major changes, new products, research, or even consumer behaviors that are affecting these trends? Stay up-to-date on the industry. Everything else within your content strategy will then fall into place. Let us have a look at some of the “hot trends” that content marketers are using to reach their target audiences. Visual content is continuously growing due to its convenience of communicating quick and to-the-point messages to its viewers. Amplify your content, whether it be an article, email newsletter, or short text. Add images to help convey your message while appealing to your audience. You can provide images to your content with relevant and customized infographics, charts, or stock photos. As we previously discussed, moving content is increasing among publishers. Through videos, the combination of audio, image, and text as the right formula will hook viewers onto your content. Speaking of convenience, audiences will most likely skim or even skip through your content the second they lose interest. This is why you should take the time to craft your content. Consider content titles since the way you word your article or video titles can already establish what kind of reception you will get. Before you take the time to write or produce your content, think about your goals. Are you more focused on building a legion of loyal consumers for your brand or on spiking up your KPI numbers? Think about whether your revenue or outcome goals are more native and awareness-based, or performance and numbers-based. Once your objective is clear, the right words, visuals, and overall presentation of your content will effectively align. Why is content in this industry especially important? This is because consumers, companies and industry experts have a constant need to learn. Reading about the trends, products, or services within the industry is important. This is in order for this demographic to build trust in a brand, conduct businesses, or even create useful products. Knowledge is key. The more trust that you garner through your content can lead to success as a trustworthy brand with loyal consumers or followers for your company. Audiences in this industry need to understand various factors and trends, such as why media consumption is constantly changing and how to better reach these relevant targets. Providing reliable data in your content bridges a trust to your audience, which in turn will effectively support the “fun” aspect of your content. In addition to providing solid data and building trust, the next content marketing step is to be compelling. Balancing the interest of your audience with trust is key in terms of creating a loyal follower base. Personalize your content reach by taking the time to think about content distribution and how to the target the right audiences. Engage your audience. Recently overriding Snapchat, Instagram stories have fostered an interactive way to offer its current 800 million monthly users quick and fun video content. Therefore, Instagram stories act as a personalized gateway or access to different brands’ messages. Ultimately, hooking in your audience calls for a better user experience. This includes access to relevant knowledge, to-the-point visual appeal, or compelling storytelling distributed among the right devices to the right target. 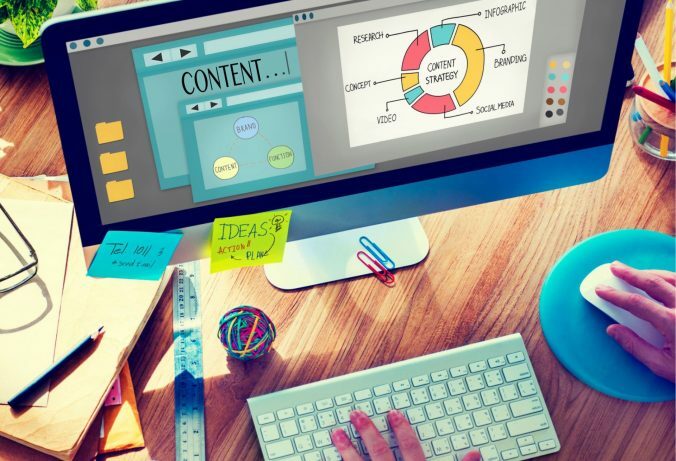 This year, content marketing revolves around the topics of new technology. Augmented reality, personalization technologies, such as artificial intelligence, video formats, and much more, are hot topics, just to name a few. Therefore, the key takeaway is that the industry is continuously changing. Be sure to always keep your content marketing strategies aligned with the digital marketing industry. In turn, your content will be as optimized as it can get, which will bring you success as an engaging brand and high-performing company.